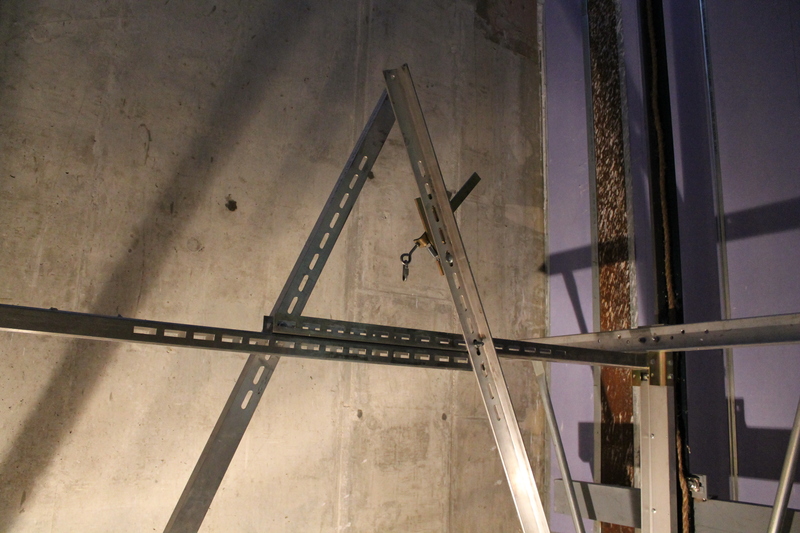 “A” is for Aztec Student Union — and this “A” is the start of work in one of the elevator shafts. 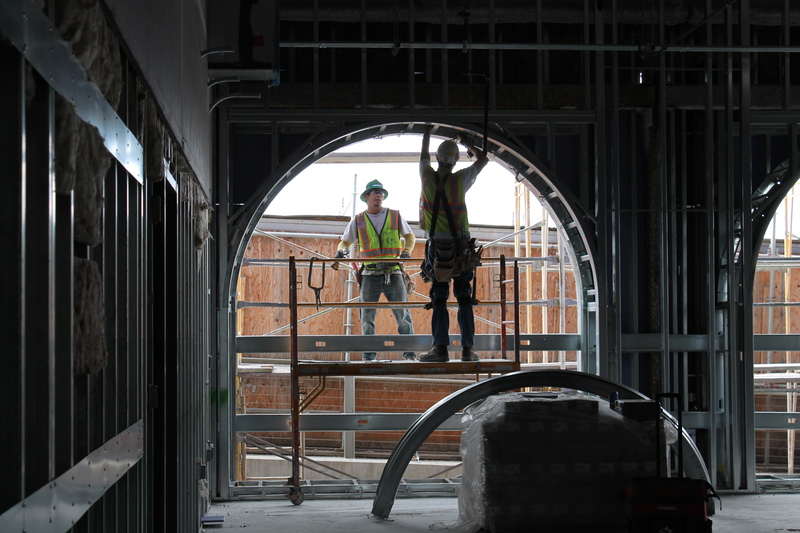 Crew members work on one of the many archways in Aztec Student Union. 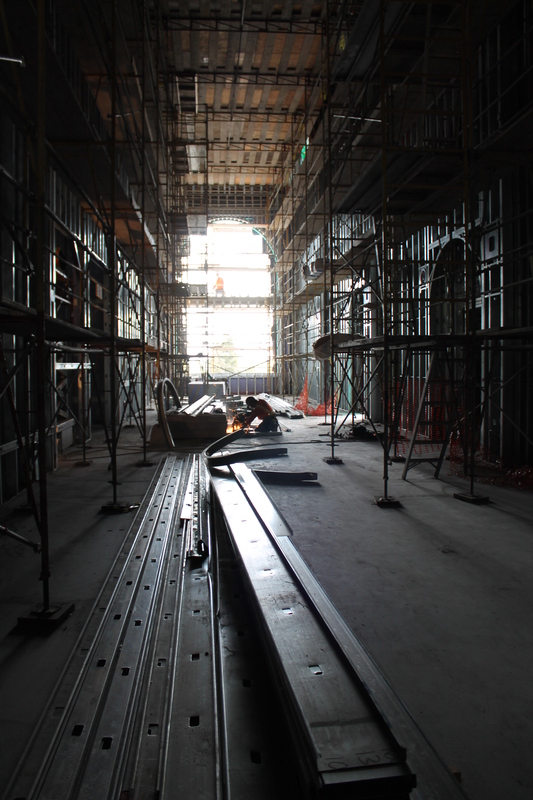 This one is located on the south side of the first floor, facing the pedestrian bridge. 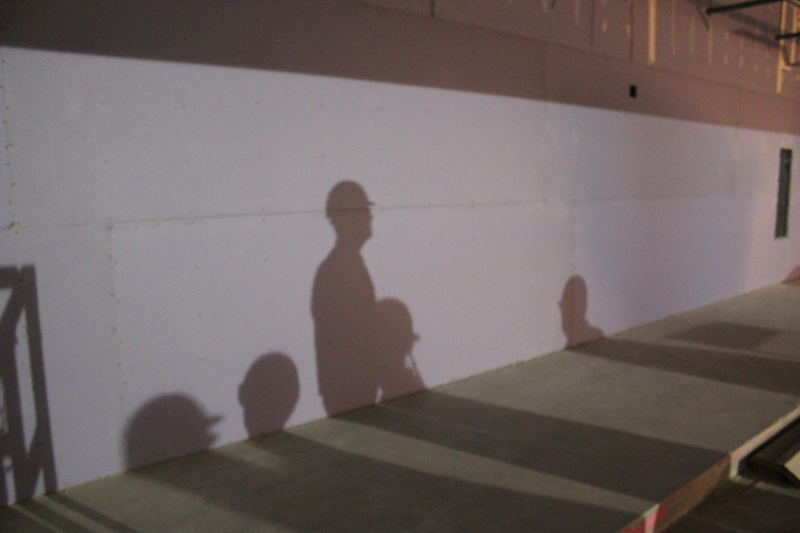 Aztec Student Union project members cast long shadows in Aztec Lanes. The long view of Montezuma Lounge, located on the east side of the second floor between Montezuma Hall and the 300-seat theater. 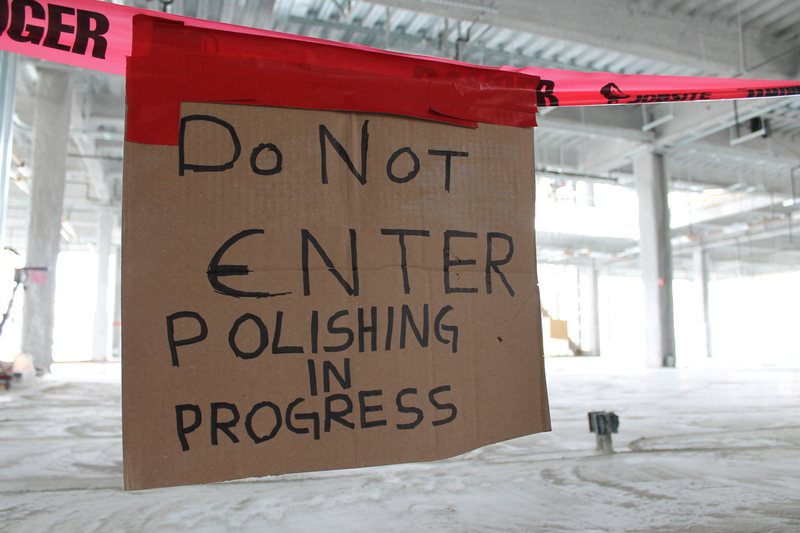 A sign limits access to the radiant floor installation on the second floor in the student organization office space.